Awhile back I did a close up look at Tannat in my feature Let’s Talk (and Taste) Tannat. Here, I focused on Tannats coming out of California and Oregon because, well, as a West Coaster, that’s what I have access to. The truth is, however, that Tannat is somewhat the “heritage grape” of Uruguay — a region I’ve only recently began to explore through various media tasting events. After reading my take on Tannat, I was quickly put into contact with Artesana, a boutique estate winery located in the Canelones region of Uruguay. 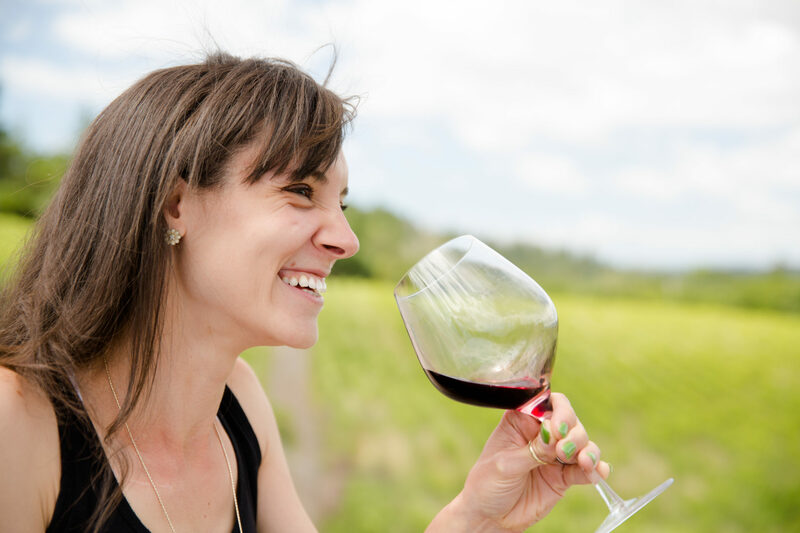 Founded in 2007 by American Blake Heinemann and under the dual, female winemaking talents of Analía Lazaneo and Valentina Gati, Artesana focuses on small-lot wine productions of Tannat, Tannat blends, and Zinfandel from the estate’s Las Brujas vineyard. The even smaller production of Merlot is used exclusively for their signature red blend, affectionately referred to as “TMZ.” And while there may be more than a few Tannat-based blends (and certainly other more popular blends that utilize a small percentage of Tannat), Artesana is the only producer that creates this precise mixture. About the Wine: The Artesana 2015 “TMZ” is made from 55% Tannat, 30% Merlot, and 15% Zinfandel. Each vineyard lot was fermented separately in small stainless steel tanks. The wine was then aged in combination new and neutral (1 to 4 year old) French and American oak barrels for 20 months. The final blend was created just before bottling. It is unfiltered and unfined. Flavor Profile: Open the bottle and breathe in the funk — like wet chocolate, smashed prunes, and hamburger meat. On the pour, the Artesana 2015 “TMZ” is a rich, velvety red, settling into the glass quite densely and fading out to a rusty rouge around the perimeter. There’s a definite underline of “funk” or schtank that rides along the center of the aromas. Surrounding the mysterious stink is black cherry, chocolate, plum, and hits of cedar wood. A good swirl releases the life of those fruits and the freshness of the cedar wood. A deep breath in reveals a thin line of acidity and a hint of something herbal. On the palate, this Tannat-based blend is immediately textural — the feeling reminiscent of a nubbly carpet. The acid kicks in about half way through bringing along with it a little spice-kick that just prickles the tongue oh-so playfully. Dominant flavors are of a cigar-like perfume, black cherries, plum skins, all spice, and dried herbs (perhaps tarragon or marjoram). The finish, filled with that funk, leaves an after breath most akin to the almost savory scent of dried baby’s breath. Food Pairing: I paired the Artesana 2015 “TMZ” with grilled lamb kabob served with a side of roasted red beets, quinoa pilaf, and a Greek yogurt sauce. YUM. What I can say about this pairing (besides yum), is that Artesana’s Tannat blend can stand up to some bold flavors. Where some wines may whither and die alongside the potency of roasted garlic — not so here. My Greek yogurt sauce is filled with roasted garlic, lemon juice and olive oil and this dressing completely pulled the meal together. What’s more, the power of the garlic and that schtank on the wine completely complemented each other in a most — for lack of a better word — delicious way. Meanwhile, a flavor bomb like this wine does well with gamier meats, specifically the almost barn-yard flavors of lamb. That, along with its thready-texture seemed to round out the mouthfeel of the wine as well as give it an almost sausage-like sweetness. This meal was absolutely the best pairing for the wine. I just wish I had a second bottle so I could do it again! More Info: I received the Artesana 2015 “TMZ” as a sample for review. (Cheers to both Marc and Leslie!) For more information about Artesana, their wines, and to purchase wines directly, please visit the Artesana website. I tried a Tannat from Stinson Vineyards out in Virginia – it is such a memorable profile. Thanks for sharing. Hope all is well!